Slab leaks are small leaks which develop underneath the floor of a home or commercial buildings. In most cases, slab leaks are not visible because they are hidden under a concrete slab. Slab leaks are often not detected for weeks or longer. A common indicator that a water leak is present is sudden spikes in a water bill. 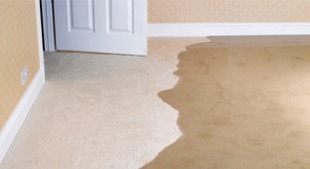 If a water bill surprisingly increases from 50 to 100 percent, an under slab water leak is a likely cause. Running water sounds are present even when no faucets or appliances which use water are running. A surprisingly high water bill which is several times higher than normal water usage fees. Water can actually be seen coming through the slab. Typically there are no signs of mold or other indications, and because slab leaks do not always penetrate the slab they may go undetected for some time. If you’re suspicious that your slab may be leaking or other plumbing related issue is present you should contact Kenz Plumbing in Oxnard and Ventura County to discuss the issue. Slab leaks are typically traced back to piping in which defective copper, low-quality copper, or bad plumbing workmanship was present. Sometimes piping and materials fails and a repipe will be required. To fix water leaks underneath concrete slabs plumbers must repipe the leak. A concern with repipe repairs is new leaks occurring in the repaired area. For this reason, we may suggest an alternative plumbing solution which is generally less invasive and provides a permanent solution to the water leaks.